I cannot resist leather goods. I could easily go full vegetarian, but I just can’t give up my leather stationery products. I’m sorry animal friends. I hope you lived a good life. So when Galen Leather Goods emailed me as well about trying their leather stuffs, I couldn’t type yes fast enough. The pictures on their website looked good, and I couldn’t wait to see them in person. Just to mix it up, I opted for brightly colored options—a yellow Traveler’s style pocket notebook cover with leather 2 pen holder, and a purple Pocket Moleskine Journal cover. Today I’ll be reviewing the former. The packaging is on point, with excellent design and a box so sturdy I can’t bear to part with it. 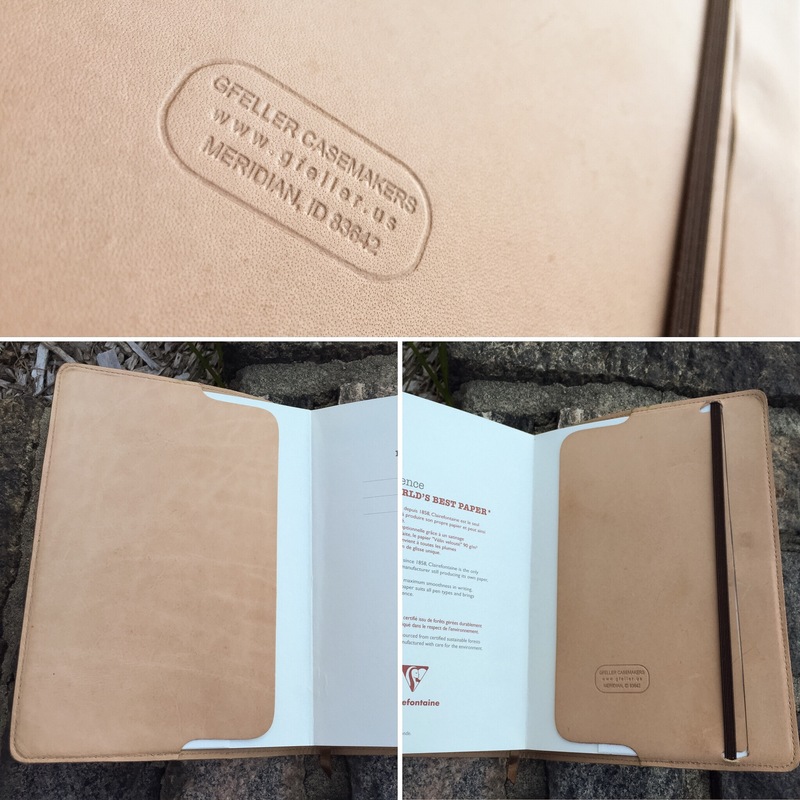 I don’t know the intricacies of international shipping (Galen Leather Goods hail from Turkey), but it’s nice to know the product has protection for the journey. It also came with a little evil eye charm and neatly printed instructions for such things as leather care. I’ve spoken extensively with my evil eye charm and it has an express understanding to especially ward off writer’s block and dried up ink. Let’s get out of the way what didn’t work for me: the pen holder. It’s a terrific pen holder, but being integrated into the elastic band holding the book shut on such a small notebook holder, it was too bulky of an attachment. 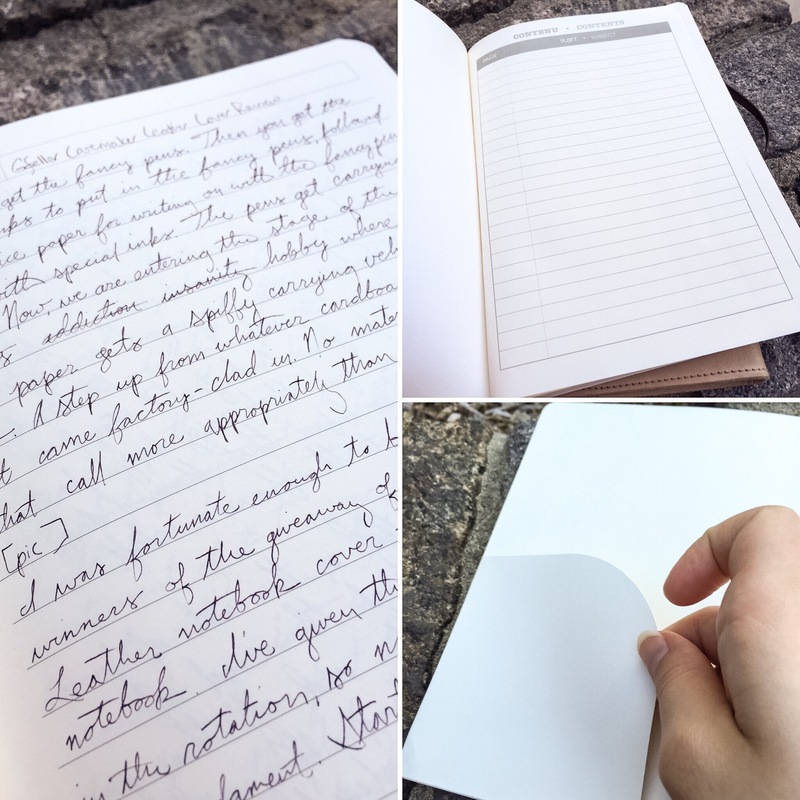 While I had it on, I rarely used the notebooks inside the holder—as long as it was shut, everything was fine, but opened up there was nowhere for the thing to effectively go. I love the brass charm it came with, but I did have some worry that the edges needed to be more rounded off lest they do any damage to the leather. When I took off the pen holder, I ended up taking the charm off as well and replaced them both with a simple coin I had lying around—enough to weigh the elastic down when I take it off, but nothing that will get in the way. Now I use this thing all the time. The notebook did come with a good measure of spare green elastic band, so I think the option to take the pen holder off was intended and not just my nefarious doing. The dyed leather is wonderfully vibrant and consistent. It feels like it’s gotten better, perhaps softer over time? It’s molding to my life, and I’ve been trucking it around for a few months now. I doubt I would have chosen green as the color to go with yellow, but I’ve come to like it. 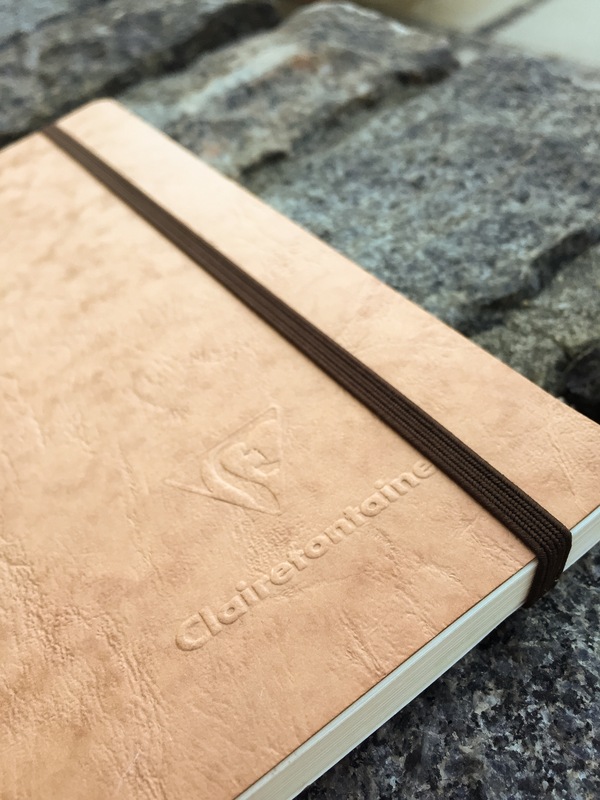 The size is perfect, safely enclosing three pocket notebooks without being any bigger than needed. The edges are all burnished, a bit rugged in spots but altogether I love this little notebook holder. 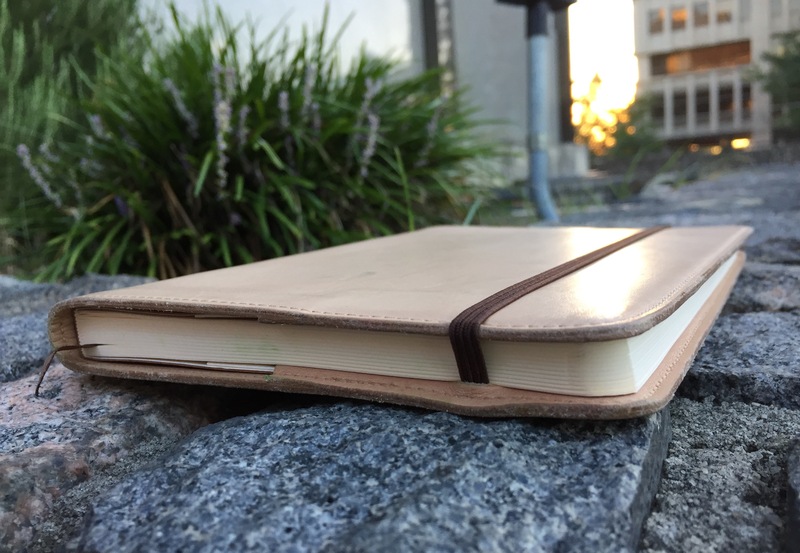 Three is a perfect number of notebooks for both daily life and adventures, and I like being able to easily swap them out as needed. I am still looking for a way to incorporate the pen holder into my life (a necklace? attached to velcro? It’s currently on its own little loop of elastic but I don’t know the right notebook to wrap it around to integrate into my routines). But this notebook holder with its beautiful and reliable leather has become a must-carry in my EDC.